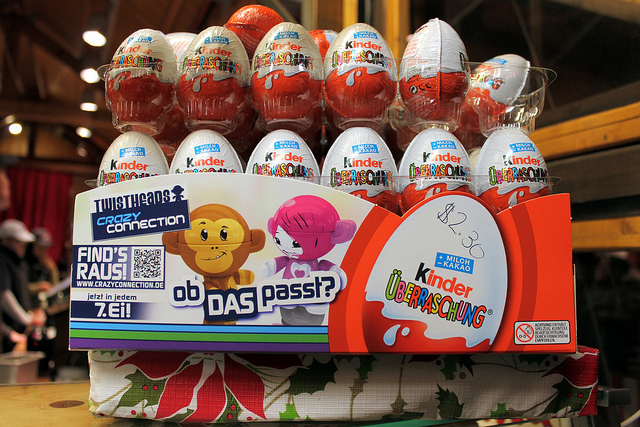 Kinder eggs are back for the holidays in Chicago — and surprise, they&apos;re still illegal this country. 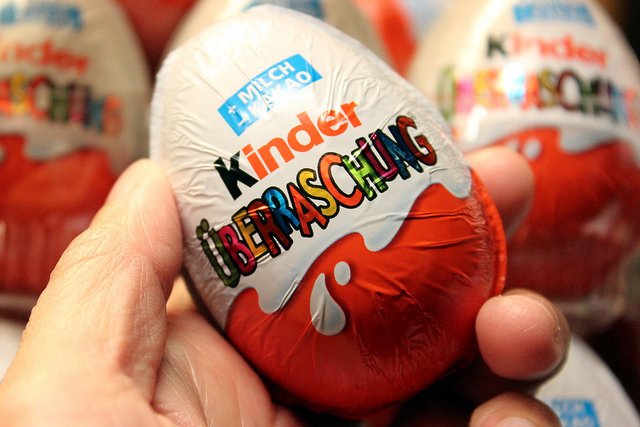 U.S. Customs and Border Protection agents warned that each egg carries a $2,500 fine when they seized six of the contraband confections during a two-hour detention of two Seattle men returning from Vancouver in July. The agency is seizing a lot more than a half dozen eggs. 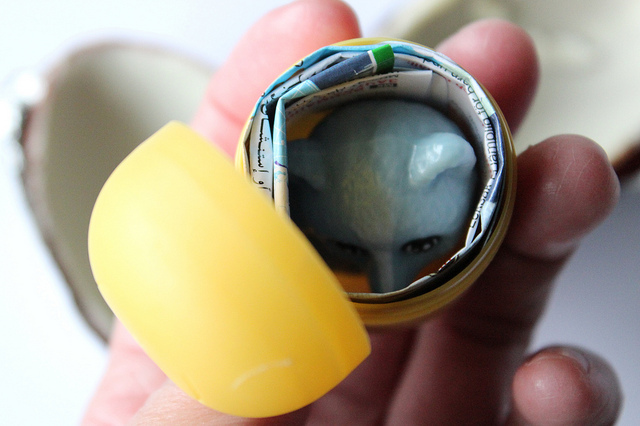 "Last fiscal year 2011, CBP [Customs and Border Protection] seized more than 60,000 Kinder Eggs from travelers&apos; baggage and from international mail shipments. This was more than twice the number seized in fiscal year 2010," said the CPB. 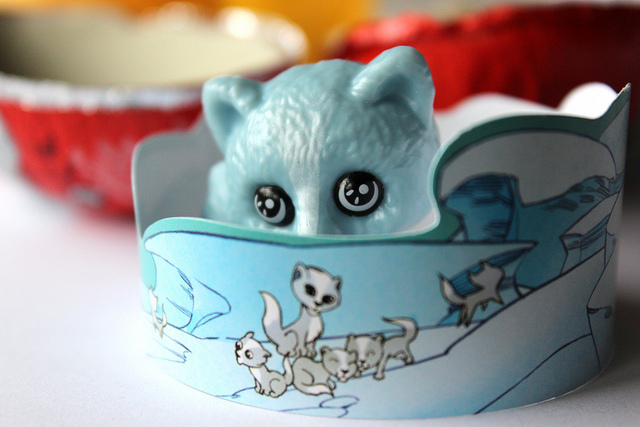 The U.S. Food and Drug Administration bans Kinder eggs because "[t]he imbedded non-nutritive objects in these confectionary products may pose a public health risk as the consumer may unknowingly choke on the object." 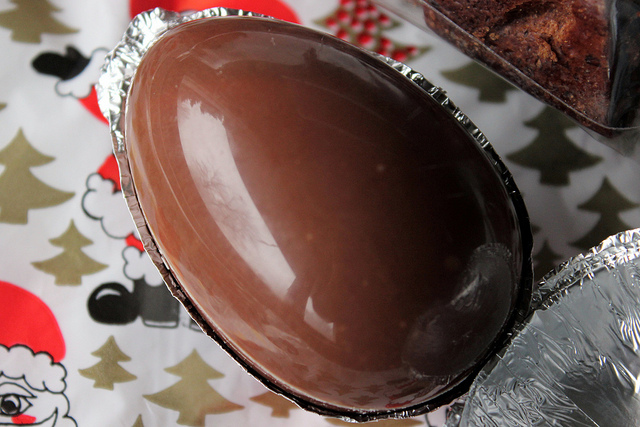 The eggs themselves are milk chocolate on the outside, hollow, lined with white chocolate on the inside. They&apos;re made by Ferraro, most famous in this country as the makers of Nutella — but not to be confused with Ferrara Pan Candy based in Forest Park. 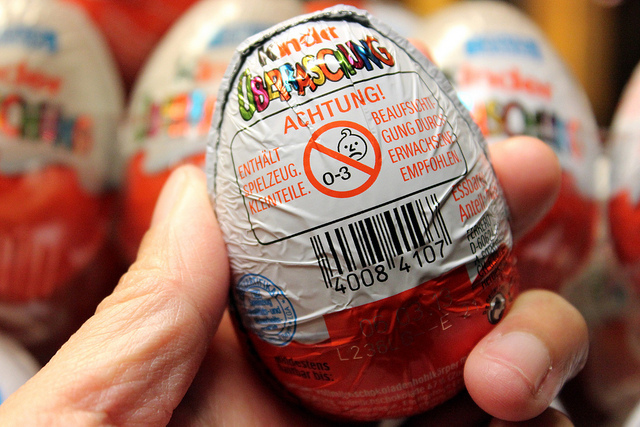 Though the Kinder name is German ("Kinder" means "children" in German, and on the packaging you see above "Überraschung" means "surprise") the history of this infamous chocolate egg time jumps across Europe. 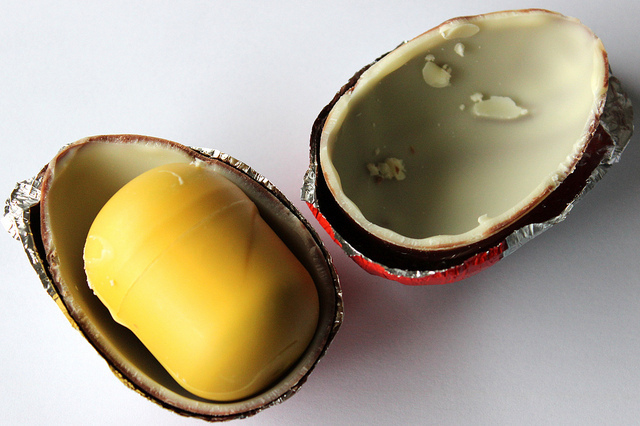 The eggs were first made in Italy in 1973 as Kinder Sorpresa. Why a German name on an Italian product? 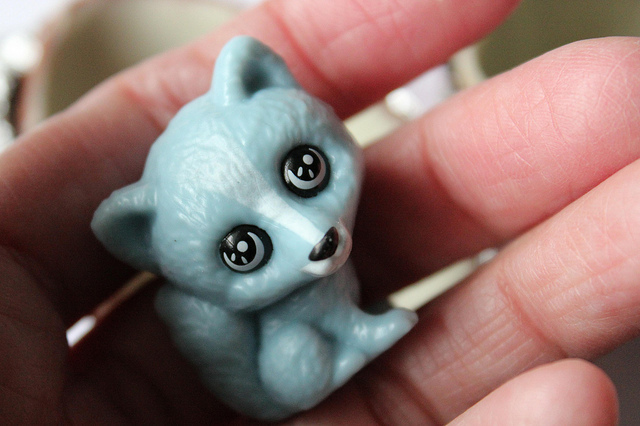 They were made with the German brand Kinder Chocolate, first introduced to Italy in 1967. The eggs were then made in Germany in 1974, where they were the largest market for the product, and continue to be the country with which they&apos;re most associated, but the eggs are sold worldwide. 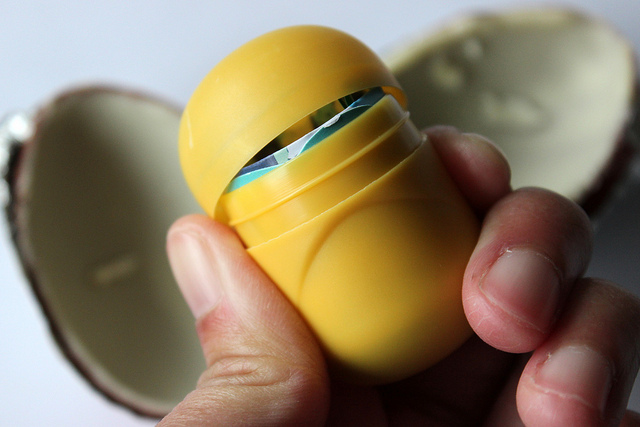 I won&apos;t tell you where you can find Kinder eggs in Chicago, but I trust you&apos;re smart enough to Google yourself if you want to find them — and smart enough not to choke on the big yellow plastic capsule inside.